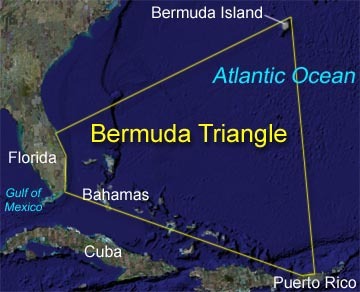 The Bermuda Triangle (sometimes also referred to as the Devil's Triangle) is a stretch of the Atlantic Ocean bordered by a line from Florida to the islands of Bermuda, to Puerto Rico and then back to Florida. It is one of the biggest mysteries of our time - that perhaps isn't really a mystery. The term "Bermuda Triangle" was first used in an article written by Vincent H. Gaddis for Argosy magazine in 1964. In the article, Gaddis claimed that in this strange sea a number of ships and planes had disappeared without explanation. Gaddis wasn't the first one to come to this conclusion, either. As early as 1952, George X. Sands, in a report in Fate magazine, noted what seemed like an unusually large number of strange accidents in that region. In 1969 John Wallace Spencer wrote a book called Limbo of the Lost specifically about the Triangle and, two years later, a feature documentary on the subject, The Devil's Triangle, was released. These, along with the bestseller The Bermuda Triangle, published in 1974, permanently registered the legend of the "Hoodoo Sea" within popular culture. Why do ships and planes seem to go missing in the region? Some authors suggested it may be due to a strange magnetic anomaly that affects compass readings (in fact they claim Columbus noted this when he sailed through the area in 1492). Others theorize that methane eruptions from the ocean floor may suddenly be turning the sea into a froth that can't support a ship's weight so it sinks (though there is no evidence of this type of thing happening in the Triangle for the past 15,000 years). Several books have gone as far as conjecturing that the disappearances are due to an intelligent, technologically advanced race living in space or under the sea. In 1975 Larry Kusche, a librarian at Arizona State University, reached a totally different conclusion. Kusche decided to investigate the claims made by these articles and books. What he found he published in his own book entitled The Bermuda Triangle Mystery-Solved. Kusche had carefully dug into records other writers had neglected. He found that many of the strange accidents were not so strange after all. Often a Triangle writer had noted a ship or plane had disappeared in "calms seas" when the record showed a raging storm had been in progress. Others said ships had "mysteriously vanished" when their remains had actually been found and the cause of their sinking explained. In one case a ship listed missing in the Triangle actually had disappeared in the Pacific Ocean some 3,000 miles away! The author had confused the name of the Pacific port the ship had left with a city of the same name on the Atlantic coast. More significantly, a check of Lloyd's of London's accident records by the editor of Fate in 1975 showed that the Trianglewas no more dangerous than any other part of the ocean. U.S. Coast Guard records confirmed this and since that time no good arguments have ever been made to refute those statistics. So many argue that the Bermuda Triangle mystery has disappeared, in the same way many of its supposed victims vanished. 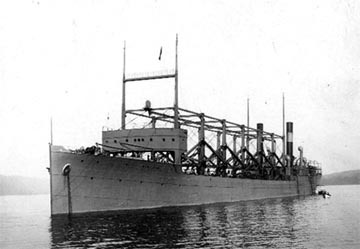 One of the first stories connected to the Triangle legend and the most famous ship lost in the region was the USS Cyclops which disappeared in 1918. The 542 foot long Cyclops was launched in 1910 and served as a collier ( a ship that carries coal) for the U.S. Navy during World War I. The vessel was on its way from Bahia, Salvador, to Baltimore, Maryland, but never arrived. After it had made an unscheduled stop at Barbados on March 3rd and 4th to take on additional supplies, it disappeared without a trace. No wreckage from the ship was ever found and no distress signal was received. The deaths of the 306 crew and passengers of the USS Cyclops remains the single largest loss of life in U.S. Naval history not directly involving combat. While the sinking of the Cyclops remains a mystery, the incident could have happened anywhere between Barbados and Baltimore, not necessarily in the Bermuda Triangle. Proponents of the Bermuda Triangle theory point to the lack of a distress call as evidence of a paranormal end for the vessel, but the truth is that wireless communications in 1918 were unreliable and it would not have been unusual for a rapidly-sinking vessel to not have had a chance to send a successful distress call before going under. The SS Marine Sulphur Queen, a tanker ship carrying molten sulphur, disappeared off the southern coast of Florida in 1963. The crew of 39 was all lost and no wreckage from the tanker was ever found. While the disappearance of the ship is mentioned in several books about the Triangle, authors don't always include that the Coast Guard concluded that the vessel was in deplorable shape and should have never gone to sea at all. Fires erupted with regularity on the ship. Also, this class of vessel was known to have a "weak back", which means the keel would split when weakened by corrosion causing the ship to break in two. The ship's structure had been further compromised by a conversion from its original mission as an oil tanker to carrying molten sulphur. The conversion had left the vessel with an extremely high center of gravity, increasing the chance that it would capsize. The SS Marine Sulphur Queen was all-in-all a disaster waiting to happen and it seems unfair to blame its demise on the Bermuda Triangle. 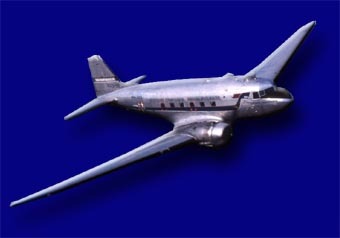 NC16002 was a DC-3 passenger plane that vanished on the night of December 28, 1948, during a flight from San Juan, Puerto Rico, to Miami, Florida. The weather was fine with high visibility and the flight was, according to the pilot, within 50 miles of Miami when it disappeared with its three crew members and twenty-nine passengers. Though no probable cause for the loss was determined by the official investigation, it is known that the plane's batteries were not fully charged on takeoff and this may have interfered with communications during the flight. A message from Miami to the plane that the direction of the wind had changed may have not been received by the pilot, causing him to fly up to fifty miles off course. Apparently Taylor had become confused at some point in the flight. He was an experienced pilot, but hadn't spent a lot of time flying east toward the Bahamas which was where he was going on that day. For some reason Taylor apparently thought the flight had started out in the wrong direction and had headed south toward the Keys, instead of east. This thought was to color his decisions throughout the rest of the flight with deadly results. By 4:45 P.M. it was obvious to the people on the ground that Taylor was hopelessly lost. He was urged to turn control of the flight over to one of his students, but apparently he didn't. As it grew dark, communications deteriorated. 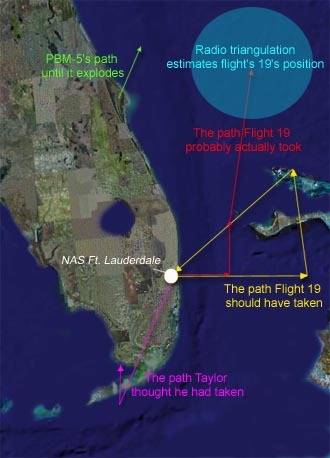 From the few words that did get through it was apparent Taylor was still flying north and east, the wrong direction. At 5:50 P.M. the ComGulf Sea Frontier Evaluation Center managed get a fix on Flight 19's weakening signals. It was apparently east of New Smyrna Beach, Florida. By then communications were so poor that this information could not be passed to the lost planes. Two Martin Mariners were supposed to rendezvous at the search zone. The second one, designated Training 49, never showed up, joining the 5 Avengers as "missing." Nor did the authorities really expect to find much. The Avengers, crashing when their fuel was exhausted, would have been sent to the bottom in seconds by the 50 foot waves of the storm. As one of Taylor's colleagues noted, "...they didn't call those planes 'Iron Birds' for nothing. They weighed 14,000 pounds empty. So when they ditched, they went down pretty fast." What happened to the missing Martin Mariner? Well, the crew of the SS Gaines Mill observed an explosion over the water shortly after the Mariner had taken off. They headed toward the site and there they saw what looked like oil and airplane debris floating on the surface. None of it was recovered because of the bad weather, but there seems little doubt this was the remains of the Mariner. 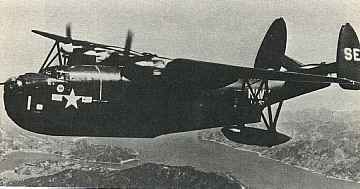 The plane had a reputation as being a "flying bomb" which would burst into flame from even a single, small spark. Speculation is that one of 22 men on board, unaware that the unpressurized cabin contained gas fumes, lit a cigarette, causing the explosion. Missing Avengers become the Triangle's "Lost Squadron"
So how did this tragedy turn into a Bermuda Triangle mystery? The Navy's original investigation concluded the accident had been caused by Taylor's navigational confusion. According to those that knew him he was a good pilot, but often navigated "flying by the seat of his pants" and had gotten lost in the past. Taylor's mother refused to accept that and finally got the Navy to change the report to read that the disaster was for "causes or reasons unknown." This may have spared the woman's feelings, but blurred the actual facts. 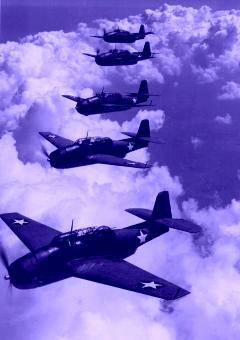 The saga of Flight 19 is probably the most repeated story about the Bermuda Triangle. Vincent Gaddis put the tale into the same Argosy magazine article where he coined the term "Bermuda Triangle" in 1964 and thetwo have been connected ever since. The planes and their pilots even found their way into the science fiction film classic, Close Encounters of the Third Kind. Where is Flight 19 now? Well, in 1991 five Avengers were found in 750 feet of water off the coast of Florida by the salvage ship Deep Sea. Examination of the plane's ID numbers, however, showed that they were not from Flight 19 (as many as 139 Avengers were thought to have gone into the water off the coast of Florida during the war). It seems the final resting place of the lost squadron and their crews is still a real Bermuda Triangle mystery. 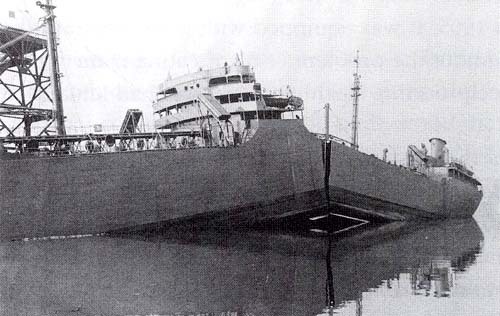 A sister tanker to SS Marine Sulphur Queen which suffered a failure of the keel and split in two. The word werewolf is most likely to derive from two old-Saxon words, wer (meaning man) and wolf. 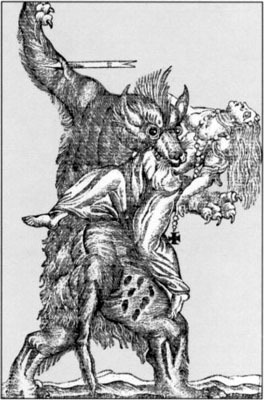 Frequently used Greek terms Lycanthropy refers to the transformation process while Lycanthrope, which is in fact synonymous to werewolf, is the afflicted person. 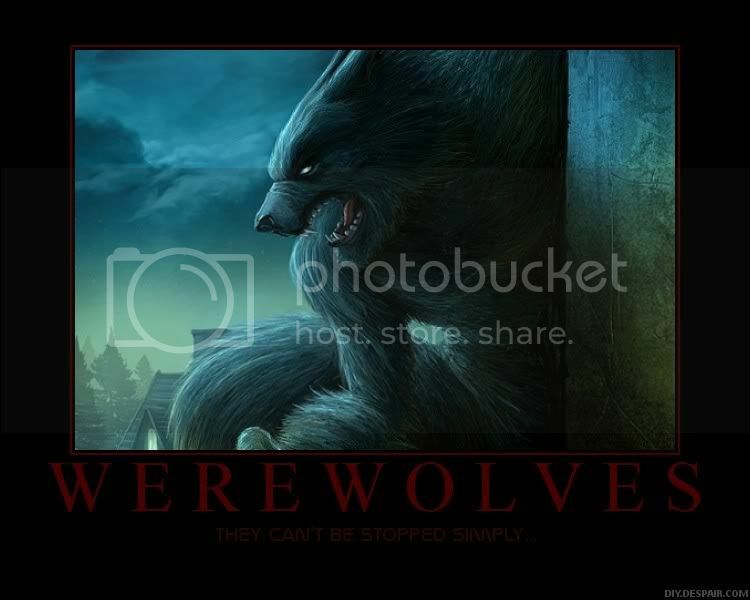 The popular definition of werewolf or lycanthrope is a man who transforms himself or being transformed into a wolf under the influence of full moon.